Summer camp is a hook for pretty much everybody. 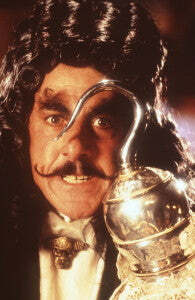 It was for the guy who played him anyway—CAPTAIN Hook, that is. 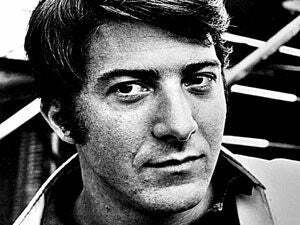 I’m talking about the one and only Dustin Hoffman, here. Sure enough a Hollywood star from back in the day, Dustin’s also a former summer camper just like all of you will be one day. Celebrated for his career in film since he was 23, let’s learn a bit about this character and his time at camp! He spent some of his best summer days at the Perry-Mansfield Performing Arts Camp, located in Steamboat Springs, Colorado—150 miles northwest of Denver. With the surrounding Rocky Mountain community of just 9000, Steamboat Springs boasts a natural beauty and charm. The hills of Strawberry Park offered Dustin 76 acres of rustic facilities and gorgeous campgrounds. The gifted actor he was, you may expect me to say that he was passionate about acting since his days at camp, but the truth is that throughout his camp days, he aspired to be a classical piano player. He attended Los Angeles High School and took classes all the while only to continue his musical studies into college at Santa Monica. But it was there that he happened to take an acting class. He took it looking for an easy A. Instead, he found a new career path. Dustin observed that, though he had developed his piano playing skills to a point of pride, he was not a gifted piano player. None of it came easy to him. He didn’t have an ear for music. Meanwhile, he had discovered a knack for acting. When he informed his family of his new interest in an acting career, his Aunt Pearl noted, “You can’t be an actor. You are not good-looking enough.” But Dustin ended up changing all that. Crediting all his success to Mike Nichols, director of ‘The Graduate’, who took a chance casting Dustin before he was known for anything. Presenting a new kind of movie star brought Dustin immediate fame overnight. From there he only went on to become a national treasure in the eyes of moviegoers across the country (as well as the world). He won the Academy Award for Best Actor in 1980 for ‘Kramer vs. Kramer’, and then again in 1989 for his excellent portrayal in ‘Rain Man’. And he pulled off a magnificent villain in Steven Spielberg’s 1991 retelling of the classic Peter Pan in the box office hit, ‘Hook’! A legend of the silver screen, Dustin’s life led him down a road of spiraling success once he discovered the right road. It may take some time before you find what’s right for you, but once you find it, there’s no stopping you! As always, thanks for reading!